The hottest Travel wellness item this year is definitely the BodyworksBall. Picked by top magazines and celebrities like the Oprah for her “O List”, Yahoo Health (as a wellness MUST HAVE), the L.A. Times, USA Today, TheView, The FABLife, and more. A portable self massage tool for instant relief of neck cricks, shoulder knots, and relief to sore aching hands and feet. A great way to counter the ill effects of sitting and “Tech Neck” from sitting hunched over tech devices, and aches and pains from travel. It was originally designed for elite pro athletes to use when traveling, which required a special non-marking rubber, to not damage the walls of the Four Seasons and the Ritz Carlton. Weighing only 8 ounces, it packs easily and allows each person the ability to give themselves a full body massage 24/7. 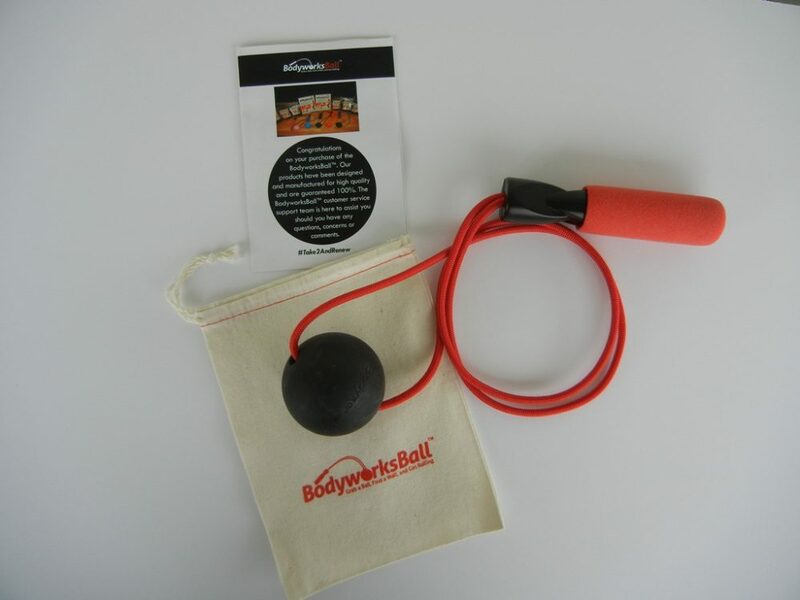 When you are traveling and sleep “wrong” or have aches and pains from lifting luggage through Customs, then up to the overhead bins, having your own BodyworksBall is an essential item to get rid of travel aches and pains. Portable & small enough to use on the plane, during flight. The BodyworksBall replaces the massage chair, in the most efficient way. It’s design earned the S.T.E.P. (Science, Technology, Engineering, Production) Award by the Manufacturing Institute in Washington, DC. Won a Fitties Award, which is like the “Oscars” for wellness items. Inc. Magazine selected the BodyworksBall as one of the Top new OFFICE design products. Winner of Barbara Corcoran’s national #SealOfApproval contest. USA Today selected the BodyworksBall as a TRAVEL MUST, to be used in the airport, in the hotel, in the car…everywhere! BJ Dowlen is the Founder/President of Bodyworks Enterprises, LLC, a sports performance group working with elite pro athletes, teams and Fortune 500 companies since the 90’s. Their clients include Superbowl MVP’s, NBA MVP’s, and Corporate “Office Athletes”.